Claire Peters should be on top of the world. She owns the radio waves and has a budding movie career. But her heart longs to be rooted. Ten years ago, she fled Martha's Vineyard to pursue her dream and to make something of herself. But there’s still a void. After a decade of running, she returns to the island hoping to find her happiness with the man she’s loved all her life. When a tragic event shatters Dr. Forrest Desvareaux’ well-balanced world, the Vineyard’s hometown good guy discovers everything in his life is based on lies. Angry and betrayed, he turns to Claire - the one woman who has indelibly marked him. Is it possible to run back to the person who broke you? Forever linked, Forrest and Claire are an unending continuum. But she’s a wildflower and Forrest’s roots run deep on the Vineyard. Can they accept home is not a place but a feeling? Twenty-seven year old, African-American, Minka Greene has to endure watching her twin sister marry the man she loves. Her weight is up, and her confidence is down. Not exactly the ideal time to meet the real man of her dreams. Mika lives in New Jersey with her Happy Chaos – her husband and their two energizer bunnies. She’s addicted to Spotify, lip balm and a cute scarf. When she does have time to breathe, and isn't behind her computer, you can find her working on her garden, reading, hiking with her camera slung over her shoulder, or practicing her knitting skills. She loves to hear from readers. Connect with her on Facebook, Twitter, and Goodreads, or drop her an email. 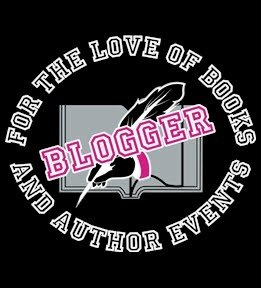 For latest news on her current works-in-progress, interviews with fellow authors, or just to see what she's up to, check out http://mikajolie.com While there, sign up for her newsletter, where you can hear her latest news and enjoy giveaways. Happy to be a part of the tour.